So why does Rafa play the accordion? – NUFC blog – Newcastle United blog – NUFC Fixtures, News and Forum. If you’re reading this hoping to catch up on the latest non-news about Rafa’s contract, or fancied a bit of an Ashley-Bash before sitting down to your fish and chips, then you’re out of luck. You could say you’ve come to the wrong plaice! I went to the doctor’s today and he tells me that the blood pressure medication isn’t doing it’s job and I need to consider something along the lines of anger management, or alternatively something he referred to as venting therapy. It’s a while since I had a proper “vent” so here goes. Stick with me on this – there’s a point in here somewhere. Eventually. I was a fairly smart kid. Did well with the old eleven plus. Went to Grammar School. Got a decent job. But then suddenly, round about my 40th birthday, I went all dumb. I started not getting things. Things stopped making sense, and if I’m honest I was so convinced that I was right and the world was wrong, I had no problem telling everyone, sure that they’d see it if I just told them. Oh yes – Mr Popular, that was me. It started with soap operas and reality TV. I was lucky. I worked abroad for years and never got the bug. I never developed the need to live my life watching a made-up story about somebody else living theirs. And don’t get me started on Big Celebrity Jungle Surviving Brother On Strict Ice. Then there’s the new breed of kids. Well, not so much the kids , as the new breed of their parents. What are they thinking? You get a dog, you look after it, you train it. It makes your life so much easier! Why wouldn’t you do the same thing with a kid? When did kids become free-range? The gasket on kids finally blew when we were in a top restaurant one evening and a couple 3 tables away were having problems keeping their 3 year old occupied. This is the point where “parents”, and I do use the term very loosely, do one of 2 things. Either one of them gets up and goes walk-about with the child, while the other continues eating, and they change shifts once daddy’s downed his fois gras, or, and this is becoming the norm, the “ignorant shields” come down, they ignore the kid and continue eating their meal, oblivious to the fact that Junior is ruining everyone else’s special evening. So what did this couple do? Mummy reached into her handbag and gave the kid a whistle to play with. Men wearing earrings? Aye – that’s how old I am. There was a time when you could get away with claiming you were a pirate. Not any more. Lewis Hamilton! You’re 4ft 9 with something that looks like the knob off a B&Q mixer tap stuck in your lobe. What are you thinking? Then there’s the government. All these people who have spent their entire lives in public service but suddenly seem to have no inclination to actually serve. Whether it’s expenses, pensions, Brexit or ISIS, like the parents in the restaurant they’re going to do one of 2 things. They’re either going to keep quiet, sit at the back of the class and hope nobody asks them a question, or they are going to wait for somebody to mess up so they can drive back and forwards over the top of them in their fully laden band-wagon. Then there’s political correctness, prosecution of Armed Forces for doing their job, foreign aid, religion, Donald Trump. Particularly Donald Trump. Donald Trump makes me think that we all might just be taking part in a huge edition of Game For A Laugh, or the Truman Show. He can’t be real! For those of you who stuck with this rant long enough to get here, perhaps you can answer a few “football” related questions that I also “don’t get”. How fat do you have to be before it’s acceptable to take your shirt off in the stands when it’s snowing? I notice you have to be either average or seriously obese, but are there actual guidelines? I’d hate to be laughed at for not being fat enough. How much of a bored megalomaniac do you need to be to come up with a rule that says you get booked for taking your shirt off after you score a goal? Am I right in assuming there is no rule that specifically states you can’t take your shorts off? Why don’t goalkeepers catch the ball any more, and if by accident they do, why do they fall to the floor, staring at the grass, hugging the ball? Are the refs actually fooled by this? Why do players not bother with shirt sleeves but insist on wearing gloves? How far do you have to kick the ball away before you get a booking? Is it a distance thing, directional, or is it all to do with attitude? I’d have thought a yard is as good as a mile, but the refs don’t seem to agree. What is it about arm tattoos that footballers can’t resist? I have my own theory about this, and while I don’t wish to get into it here, let’s just say I don’t know a single doctor or professor with a tattoo. If as some say it’s “tribal”, can anyone advise of the traditional tribal markings for Kenton Bank Foot? Is it compulsory to stand with your hand in the air staring open mouthed at the Ref’s Assistant, looking like a strap hanging Neanderthal on a bus every time the other team scores? Why, when each team has the same number of players, do we even have an offside rule? If we want to play a goal moocher, they have the option to mark him, or not. 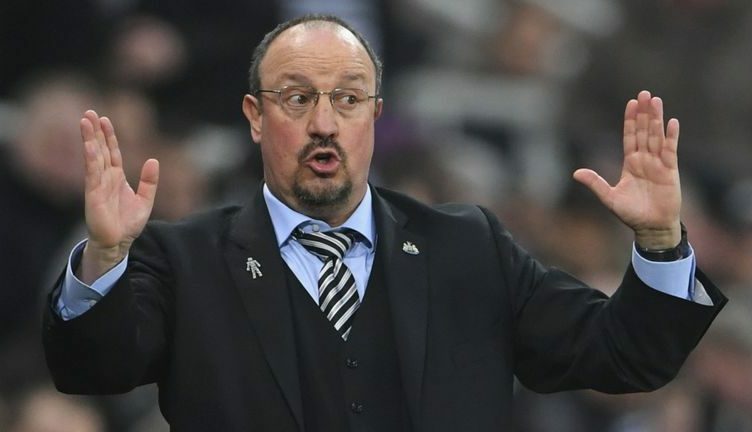 What does it actually mean when Rafa stands on the touchline pretending to play a very small accordion? Why have beards taken off in the Prem lately? Well, not so much real ones, as those pretendy wispy things most footballers have? Is it because the ref uses all the shaving foam to mark the position of the wall? Why is Mike Ashley? No, I haven’t missed anything out, I just don’t get why he exists. How long can you stand in front of a ball to prevent a free kick from being taken? Is it just as long as the ref’s not looking, or is there a clock running? Why are we so pleased to have a striker in the team who has scored 9 goals in the Prem when we sold one who has scored 10? How far can a ‘keeper come off his line before a penalty is taken? It appears to be about 6 yards, but I’m not sure. Why do players shake hands before they go and kick seven bells out of each other? Who, these days, actually thinks that invading the pitch is cool when the only thing we’ve won is a coin toss? Why are Sunderland? Sorry, this is the same as the Ashley question. And the last question is for the team themselves – I understand that you have to wear the same shirts, shorts and socks, but do you all have to have the same haircut? If you can’t see the number, trying to identify players these days is nothing short of a lottery. Thank goodness for red boots and alopecia.